For the past two days, I have been at the Ground-Based Geophysics on the Moon workshop in Tempe, Arizona (aka: "LunarGeo2010"). This meeting is the first of its kind to bring together planetary and terrestrial geophysicists to review what we learned about the Moon from past geophysical studies and to plan future studies - robotic and human. Astronaut Jack Schmitt gave the first keynote address. He related his experiences doing active seismic experiments during the Apollo 17 mission. He was the only professional scientist to ever visit the Moon and holds the record for the most EVA time spent working outside on another planetary body (22 hours). The Moon is the only place in the solar system where humans have carried out ground-based geophysical studies such as seismology, heat flow, electromagnetic soundings, and gravity. Without the data Schmitt and his Apollo colleagues collected, we would know significantly less about lunar interior and history, and by extension the rest of the solar system as well. Astronaut Drew Feustel was also at the meeting. He presented his work helping to develop the Planetary Exploration Geophysical Systems (PEGS), which is a rover that collects seismic and other geophysical data for rapid subsurface reconnaissance. 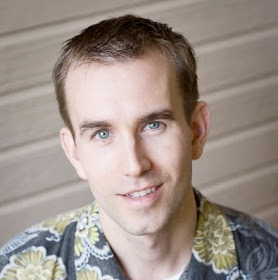 He's tested the system at Meteor Crater and in Antarctica. Feustel logged about 21 hours of EVA time fixing the Hubble Space Telescope on STS-125, which was featured in the Hubble's Amazing Rescue Nova special that I saw at the AGU meeting last month. Feustel is slated to fly again on STS-134 later this year. I spent some quality time talking with both Schmitt and Feustel about their experiences, and I'm honored to have met them. Sean Solomon also gave a very good keynote presentation on the outstanding questions relating to our understanding of the Moon's internal structure and evolution. These questions included: How did the Moon differentiate? What is the lunar crustal thickness and structure? What is the vertical mixing history in the lunar mantle? What is the origin of the lunar hemispherical asymmetry? Was there ever a lunar core dynamo? What is the history of lunar volcanism? What is the distribution of lunar interior volatiles? What generates moonquakes? Mark Wieczorek expanded upon the overview with descriptions of the latest gravity maps from Kaguya and the promise of the upcoming GRAIL mission. There were many other great talks and posters on seismology, heat flow, ground penetrating radar, magnetic, lunar laser ranging, etc. Lunar Laser Ranging (LLR) deserves special mention because it is the only experiment from the Apollo era continuing today. They can currently measure the distance to the Moon with a 1.5 cm accuracy, and within a couple of years it'll be down to the millimeter level. Among other things, LLR data has helped us understand minor variations in the Moon's moment of inertia, which tells us that the lunar core is about 400 km thick. The speaker noted that the LLR program needs more corner reflectors, so I was wondering if the GLXP rover(s) could include them. 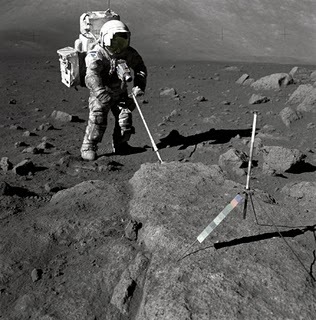 In addition, I thought it was interesting that several presentations addressed the problem of how to take heat flow measurements of the lunar surface without contaminating the reading. The footprints astronauts leave decrease the albedo and compact the regolith and heat the local area, which makes heat flow measurements higher than they would be naturally. Along with LLR, only seismology can verify the extent and character of the lunar core, as well as crust and mantle structure. That's why geophysics has consistently been a top priority in all recent reviews of lunar science priorities such as the Planetary Decadal Survey (2003) and the The Scientific Context for Exploration of the Moon Report (2007). To meet this need, NASA and its international partners are planning to land a series of autonomous geophysical stations to build upon the Apollo seismic network through an effort known as the International Lunar Network (ILN). In July 2008, the US, Canada, France, Germany, India, Italy, Japan, Korea, and the UK signed a charter to define the program. The ILN will nominally consist of 4 stations active for 6 years starting around 2015. You can learn more about the ILN from the recent ILN Final Report . 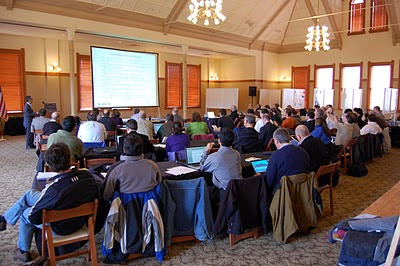 The 50 attendees at the LunarGeo2010 workshop discussed how the planetary and terrestrial geophysical communities might come together to contribute to these efforts. I hope this is only the first of many such bridge-building meetings. I'm glad I could be a part of it. 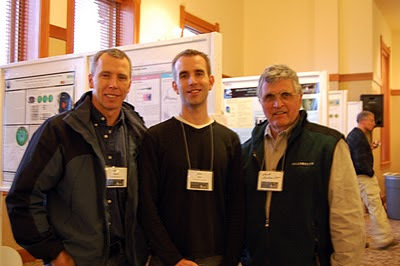 The workshop was very beneficial to me, as I got to speak with Bob Grimm and David Stillman about my FMARS electromagnetic experiment and Rob Stewart (a former CSA astronaut finalist) about my upcoming MDRS active seismic experiment. I'd like to thank Veronica Ann Zabala-Aliberto for graciously sharing her photos with me and for her logistical support to organize the workshop. 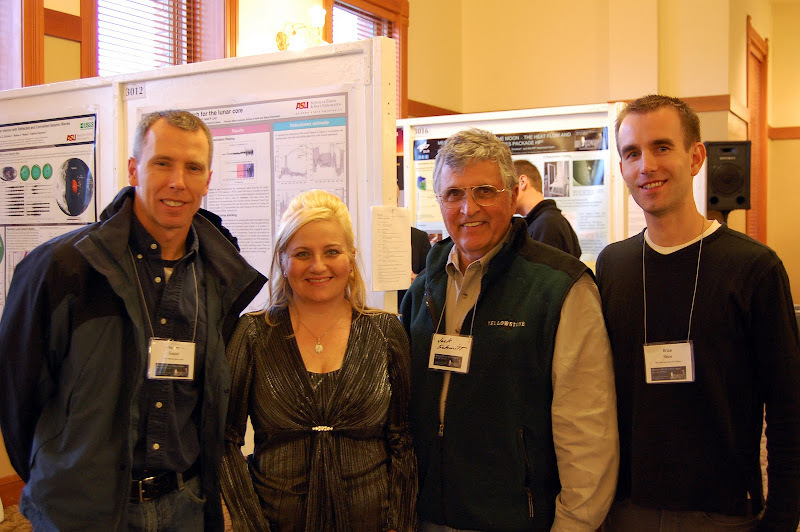 I met Dr. Schmitt again at the Earth & Space 2010 conference, which you can read all about here.